Valid from 1 to 31 July 2017. Valid for on-site purchase only. 11B ID or SAFRA card must be produced by the cardholder at the time of purchase. Each 11B ID or SAFRA card is entitled to a maximum purchase of 5 single park admission tickets per transaction per day. Child admission ticket is valid for children aged 3 -12 years old. Jurong Bird Park and Singapore Zoo admission tickets exclude tram rides which are payable separately based on prevailing tram ride rates. Night Safari admission tickets include English commentary rides and is valid for park admission from 8.15pm only. Admission tickets purchased are not eligible for conversion to a Family or Individual Friends of Wildlife, Friends of Bird Park, Friends of Night Safari, Friends of Singapore Zoo or Friends of River Safari membership. Admission ticket purchased is not refundable or exchangeable for cash and is valid for day of entry only. 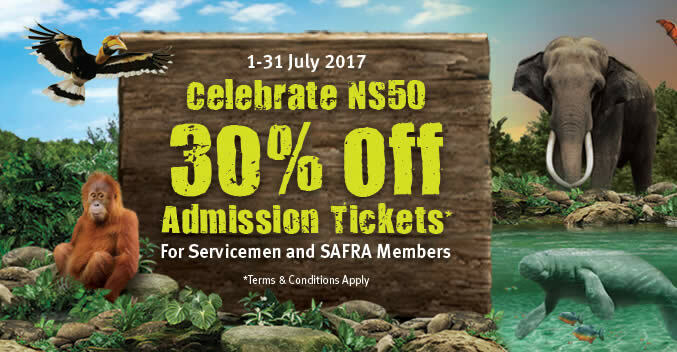 Promotion is also valid with NS50 SAFRA vouchers, NS50 HomeTeamNS vouchers, SAFRA Rewards vouchers and HomeTeamNS vouchers. 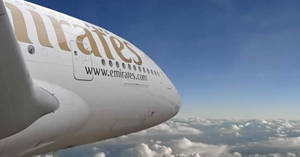 Terms and conditions of the respective vouchers are applicable. The Management of Wildlife Reserves Singapore Group reserves the right not to accord the relevant discount to 11B ID or SAFRA card holder if any of the above conditions are not complied with or the privileges are being abused by the cardholder.